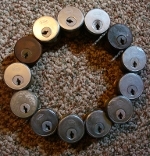 I decided to knock up a dedicated Abus pick. This will tension from the front, rear or anywhere in the middle of the lock, making it suitable for every incarnation of the Abus Granit/Plus family. 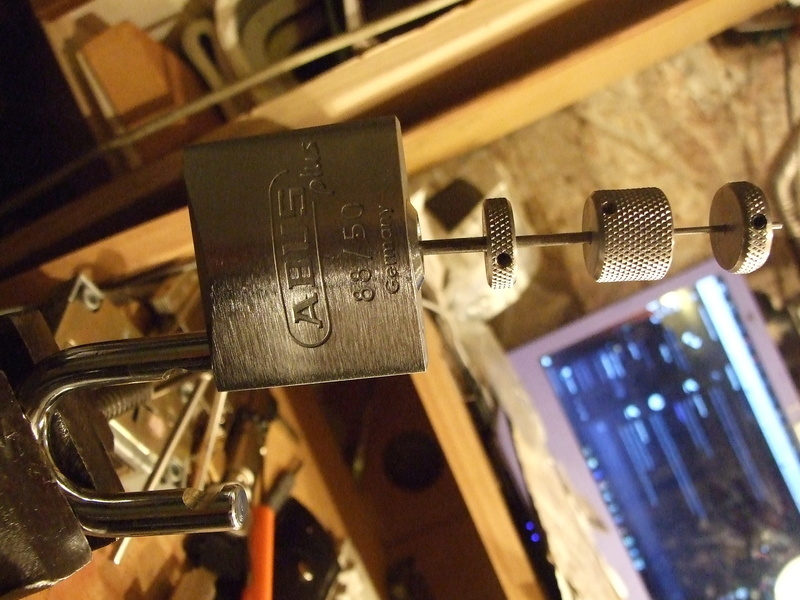 If you want to tension from the rear then the one picking tip sits behind the tensioner at the rear of the lock and the front tip does the picking. To tension from the front, the one picking tip just sits on the outside of the lock and the deep tip does the picking. 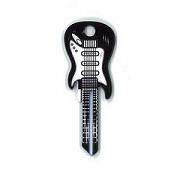 Then you can go anywhere in-between with a pick either side. Great! What diameter has the outer tube? I am waiting for a 1.8mm wire to arrive, so that I can make together with a 3mm tube a pick. MartinHewitt wrote: Great! What diameter has the outer tube? Most probably 3 mm tube, as that is the largest you can with inside the lock. Exactly! 3mm OD on the outer-most tube. Use as much space as possible. I like it! A task I'll need to accomplish one of these days as I've recently been handed one of those Abus Granit/x-Plus beasties. Great idea to give yourself the option of picking old and new beasties with the one pick. 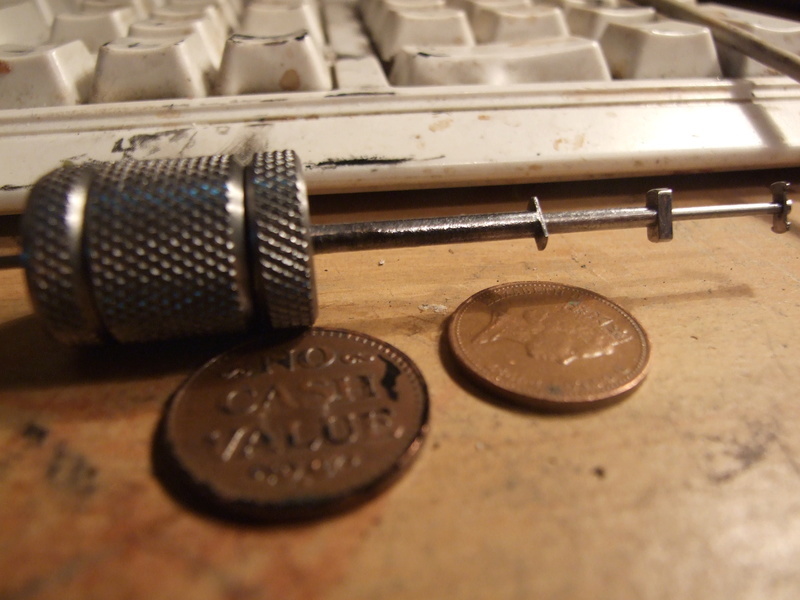 Using all the space with the 3 mm tube also helps keeping the pick straight in the key hole. You made a very nice pick, as usual! Happy New year to you too, Ringo! No I haven't seen the video, but the concept is clear. Thanks for the suggestion. And yes Ringo, this is just the 1st prototype, it will change I am sure. It has no decoding marks, no bells, no whistles.